Mattress shopping can be difficult, confusing and simply a painful process. To begin, there are a vast number of variables to consider, a huge financial investment, 5-10 year commitment to the relationship and on average 20 minutes of in-store bed tests to make your final decision. Logical? Not really. Confused by different brands, mattress types and compositions, assurances and price points – the vast majority of people will pay higher (inflated) prices for their mattress under the assumption that price directly correlates to mattress quality. That is not the case. Taking into account all the pain points of mattress shopping, Endy decided to change the experience. 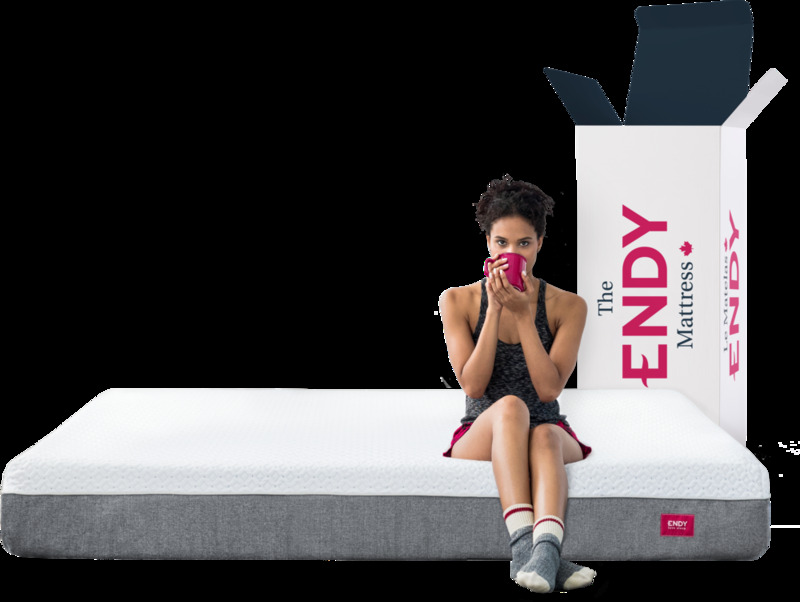 With the help of Endy, you can enjoy a high-quality memory-foam mattress at an incredibly affordable price, try it out for 100 nights in your home and sleep comfortably for years to come! Endy brings comfort in its carefully crafted memory foam mattress. The meticulous design is engineered with a 5” high-density polyurethane foam to help keep you propped up and supported. A transition layer of medium-density polyurethane foam layer that gives you a gradual transition between the memory foam and the base for optimal comfort and support. Finally, a gel infused top layer that is infused with cooling gel to disperse body heat within the material in order to help you stay comfortable as you fall asleep. The Endy mattress is then wrapped with love and care in its soft, luxurious cover. Studies show that 58% of people would choose differently from their current mattress, based on quality, price and their shopping experience. Choose Endy and be part of a well-rested and satisfied group of sleepers! Newer PostEndy Sleep Supports the Fight Against Malaria: Buy a Mattress. Save a Life. Older PostSleep Positions: What does your sleep style say about you?